Louis Tomlinson is a British singer, songwriter and television personality. He is best known as a member of boy band One Direction, who won a BRIT Award for “What Makes You Beautiful” in 2012. He released his debut single “Just Hold On”, a collaborative effort with American DJ Steve Aoki in December 2016, it peaked at number two on the UK Singles Chart and was certified gold in both the UK and US. In 2017, Tomlinson released “Back to You” with American singer Bebe Rexha and “Miss You”. 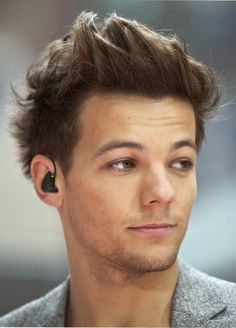 Born Louis William Tomlinson on December 24, 1991 in Doncaster, England, UK, to parents Johannah and Troy Austin, he attended an acting school in Barnsley. He began his career as an actor appearing in ITV drama film If I Had You and the BBC drama Waterloo Road. He has a son Freddie with Briana Jungwirth. *He was born on December 24, 1991 in Doncaster, England, UK. *He auditioned for the television talent competition The X Factor in 2010. *He is the oldest member of boy band One Direction. *He is good friends with James Corden. *He is an avid philanthropist. *He is fluent in French. *In 2013, he was signed as a footballer to Doncaster Rovers Football Club on a non-contract basis. *He dated Danielle Campbell from 2015 to 2016.